The holidays are here. They are a time of joy and happiness. It is, however, during this time that most people tend to forget about their workouts and diets. If you think you might veer away from your health goals during the holidays, let me remind you that the only road it will lead to is a larger waistline. If you choose the path of laziness, remember that the holidays will eventually end and your joy and happiness will turn into horror as you will be left with having to face yourself in the mirror afterwards. To help you prevent this, I will disclose my top 10 personal strategies for surviving the holidays with minimum fat gain, if any. Best of all, if you follow my instructions to the letter, you will gain muscle in the process as well! 1. Workout as early as possible, preferably first thing in the morning. If your schedule is really hectic, I would advise waking up early and getting training done right before you go to work, if possible. If this is not possible, then try doing it at lunch-time or right after work so that nothing else interferes with your workout. On days off from work, definitely get the training done as early as possible. 2. Plan your workout days one week ahead. Because of the amounts of get-togethers and days that the gym may be closed during the holidays, it is best if you decide a week ahead which days you will be attending the gym. 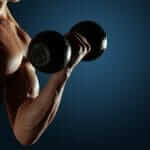 In this manner, your chances of missing a workout due to parties or gym closures are eliminated. 3. Plan your cheat days wisely. Over the years, I have become an expert at planning cheat days during the holidays. This is because Thanksgiving is on the 27th, my birthday is on December 5th, Christmas is on the 25th, and New Year’s is on the 31st. So those are my cheat days. My advice is to attempt to space cheat days with at least 5-6 days in between, with 6 being the better choice. 4. Eat your cheat meals wisely. When you have a cheat meal, start eating the protein portion first as this will help you to start feeling full. Leave the carbs for the end of the meal. Also, try to not stuff yourself. Eat until you are comfortably full and allocate 4½ hours of cheating per cheat day. This will allow for 3 cheat meals (one every 90 minutes). After your cheat period, go back on your regular diet immediately. 5. 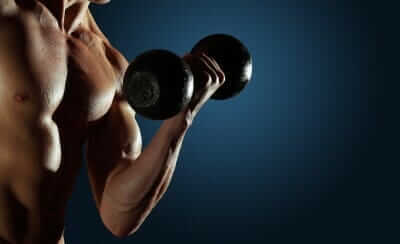 Have a tough workout before you cheat to minimize fat gain and maximize muscle. 6. Take 1500 mg of Garcinia Cambogia (standardized to 60% HCA), 200 mcg of Chromium Picolinate, and 300 mg of Alpha Lipoic Acid. Taking 1500 mg of Garcinia Cambogia (standardized to 60% HCA), 200 mcg of Chromium Picolinate, and 300 mg of Alpha Lipoic Acid at the beginning of your cheat period helps to increase your cell’s ability to accept insulin, which will assimilate the extra carbohydrates more effectively. As a matter of fact, increasing insulin sensitivity is one of the reasons why I like to have a big workout prior to the cheat period. 7. Have some EFA’s (essential fatty acids) with your cheat meal. Research indicates that some essential fats like the ones found on flax oil or fish oils have anti-lipoliytic properties. In other words, they inhibit some of the enzymes responsible for fat storage. By taking these fats with the first cheat meal of your cheat period, you can minimize some of the damage. 1/2 – 1 tablespoon of Carlson Fish Oil should do the trick. If you’d rather use capsules, you can use 6 capsules of fish oil. 8. Take some digestive enzymes with each one of your cheat meals. 9. Three to five hours after the cheat period has ended, take a 30-minute walk. I’m not talking about anything strenuous; around 2.5 to 3 miles per hour is a good pace. Doing some cardiovascular activity after the cheat period has ended will start burning some of the carbohydrates that may still be lingering around. The more of these you burn, the less likelihood of storing body fat. If you cannot do this walk on the same day of the cheat period, then try it the morning after, on an empty stomach. 10. If you really cannot train more than 3 days a week, try my special Holidays Winter Workout Routine (which will be posted here next week). Hugo Rivera is an International best-selling fitness author certified in personal training and nutrition with a computer engineering degree from the University of South Florida. Hugo is owner of www.hugorivera.net, an informational, free fitness and nutrition website. He is author of over 10 fitness books (with over a million copies sold) including his best sellers: Body Re-Engineering, The Body Sculpting Bible for Men, The Body Sculpting Bible for Women, The Weight Training Diary, and The Hardgainer’s Bodybuilding Handbook. Through his website, as well as numerous articles, book publications, and TV and radio appearances, Hugo continues to educate the public on how to achieve the body of their dreams via the use of weight training exercise, good nutrition, and correct supplementation. Body Sculpting, Nutrition, Workouts permalink.